Bultar Swan was a female Human who trained with and served the Jedi Order during the final decades of the Galactic Republic. 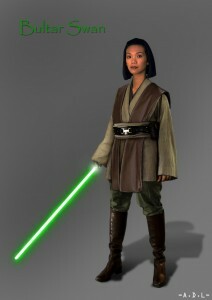 As a Padawan of Jedi Master Micah Giiett, Swan excelled at martial arts, and she later complemented her fighting techniques with a strong lightsaber defense under the tutelage of Jedi Master Plo Koon. Dedicated to her beliefs, she was respected within the Order for her record of never having killed an opponent prior to the outbreak of the Clone Wars. After becoming a Jedi Knight, Swan was routinely sent on peace missions, including one to the Fondor system to investigate the alleged reappearance of an ancient starship and to mediate a dispute over salvage rights to the vessel. Swan became entwined in a plot by the shipbuilder Groodo the Hutt to destroy the Fondor Shipyards, and she aided in destroying Groodo’s Droid Control Army and thwarting his plan to take over Fondor Spaceport. Brown leather or leather-like tabards. 2-3″ (5-7,5 cm) longer than the OT in front and back. Brownish taupe longsleeve inner tunic. Light khaki obi (same colour as OT) extending 1-2″ (2,5-5 cm) above and below the belt. Two (2) movie accurate brown tall ribbed belt pouches. One (1) movie accurate wide brown belt pouch. 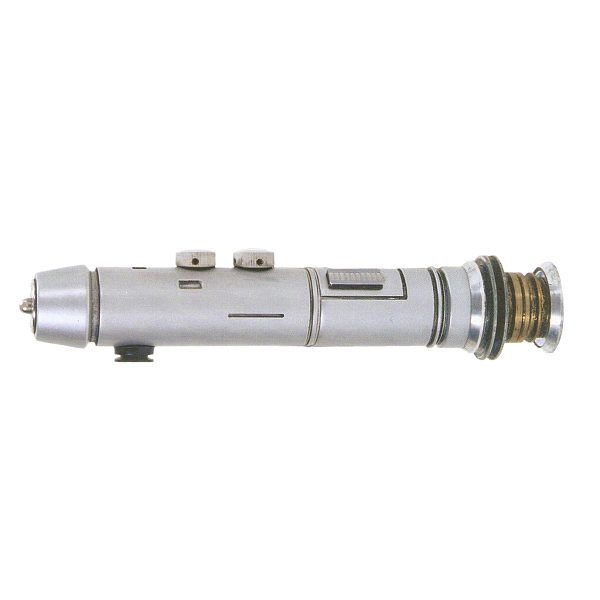 Lightsaber (No toy sabers, no Ultimate FX short saber). If bladed, blade is green. Brown Jedi belt: Wide leather main belt with a thinner secondary belt on the top of the main belt. A movie-style snap-buckle on the secondary belt. The secondary belt cannot be loose or sag. The secondary belt is fixed with 8 button studs. Button studs and buckle have to be in a silver colour. Light to medium brown leather boots, knee high, unadorned.